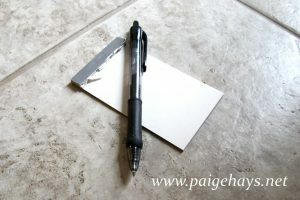 I am sharing some of the simple, daily things I do at home as a Mom that come from my occupational therapy background. We have all been there- waiting in an office, a line, or a meeting with a squirmy child that needs something to keep their little hands busy and voice quiet for just a few more minutes. I know how tempting it is to grab the smart phone that is hiding in nearly every mom’s purse. I get it- the phone works! Your child calms and quiets, and it buys you a much needed few more minutes. However, it may just be too easy! Children need to learn to wait and keep themselves entertained in a variety of environments. I am not saying that I expect children to just stand still and be quiet magically, but that to develop this skill it will take more than just being handed an electronic device. All those little moments of waiting add up to a lot of time over the years- think of what learning opportunities you may miss. Why do most parent hand over the phone? It is convenient: we almost always have it on us. The challenge is to find other items that can replace the phone that are just as convenient. The items on my list are cheap, easy to find, have very few pieces to lose, and they will entertain children. However, they will most likely not entertain children alone. They need some adult assistance, encouragement, and engagement, which is the perfect opportunities for learning to occur! 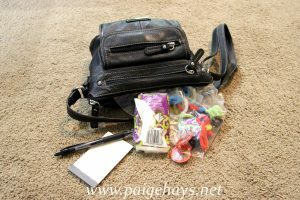 5 item you will find in my purse that I use to help my children learn how wait…. 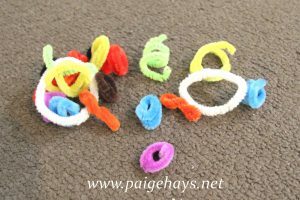 Pipe cleaners- while these may not be laying around everyone’s house, they are easy to purchase at a craft or dollar store. As long as children can be safe with the wire, there are endless possibilities for how to use them. You can make simple shapes or letters, make curly vs straight lines, even make simple picture or creatures. Add a few beads and you have an art project that can be done and redone. For older children, try giving a challenge to make a structure that can hold a quarter or credit card off the ground. Measuring tape- a small circular tape that has a button to rewind the tape. This seems to be lurking around most people’s junk drawer. Young child love to pull the tape out and rewind it. Preschoolers and older can use the tape to explore and measure items. Give a challenge to find things of specific measurements. 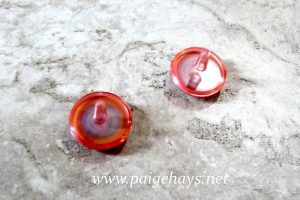 Spinning top (or spare change can work)- these tops are found at the dollar store or with party supplies at a general store. While this activity takes a bit more space, almost any floor or table will work. Children as young at 3 can learn to spin a top with at least some success. 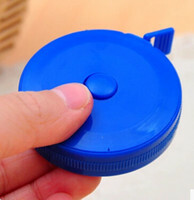 Older children will need more of a challenge- try comparing a spinning top to spinning a quarter or dime. 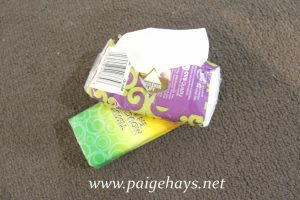 I encourage parents to find at least a few small items and just tuck them away in a purse pocket. While I can’t claim that any of these will be more tempting or entertaining that your smart phone, I can claim that playing with your child in these 5 alternative play tasks will likely promote more social, cognitive, and motor development than a smart phone. Growing Play has a great, but controversial, post about digitally “sedating” children– worth a read. Miss Jamie OT has a blog post that talks about the use of electronic toys negatively impacting the fine motor development skills of children and suggests alternative activities that promote skill development. Everyday, Simple Idea #19: Pencils, Pens, Paper, and Post-its.